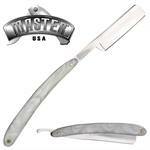 This phenomenal straight razor features a stain finish 440 stainless steel blade which comes extremely razor sharp with the name Ceasar imprint on one side. 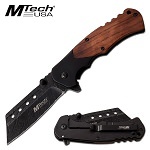 Cool modern design pocket knife with spring assisted opening mechanism and a cleaver blade. 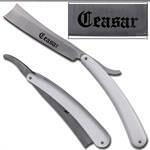 The length of the knife when open is 7.75 inches long with the cleaver blade length 3.25 inches long. 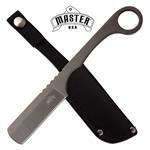 For a comfortable knife handle grip the length is 4.5 inches. 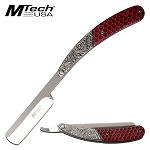 The knife is 8.25 inch overall in length with blade length of 3.5 inch. Handle is 4.75 inch long which give you a very good hand grip. 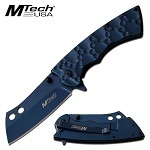 The knife includes a pocket clip attached. 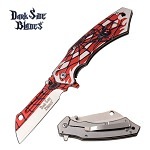 Spider Web Design Spring Assisted Folding Pocket Knife Blue Web. 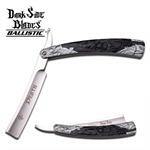 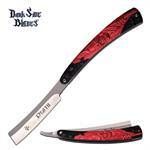 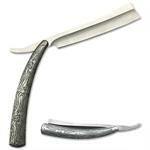 The blade is 3.25 inch long and blade is designed in cleaver blade style. Rainbow Finish Straight Blade Barber Razor Folding Pocket Knife Shaving Cutlery. 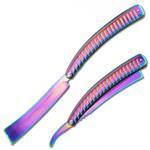 5.5 Inch closed in length. 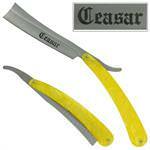 The Razor knife 3 1/4" blade 4 1/2" closed. Stainless steel handle. 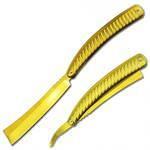 2-1/4" Blade, 5-1/2" Closed. 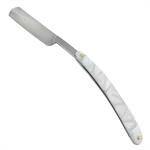 Mirror Polished 440 Stainless Steel Blade With A Simulated Mother Of Pearl Handle. 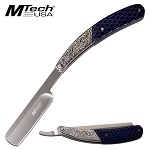 The knife is 8.75 inch overall open length. 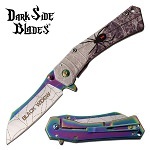 The blade is a sharp 4 inch long 3cr13 steel blade.